 Axl Rose AC/DC Rock Or Bust World European Tour 2016 Retro Classic Rock Music T Shirt is available on a Black 100% Cotton Tee. 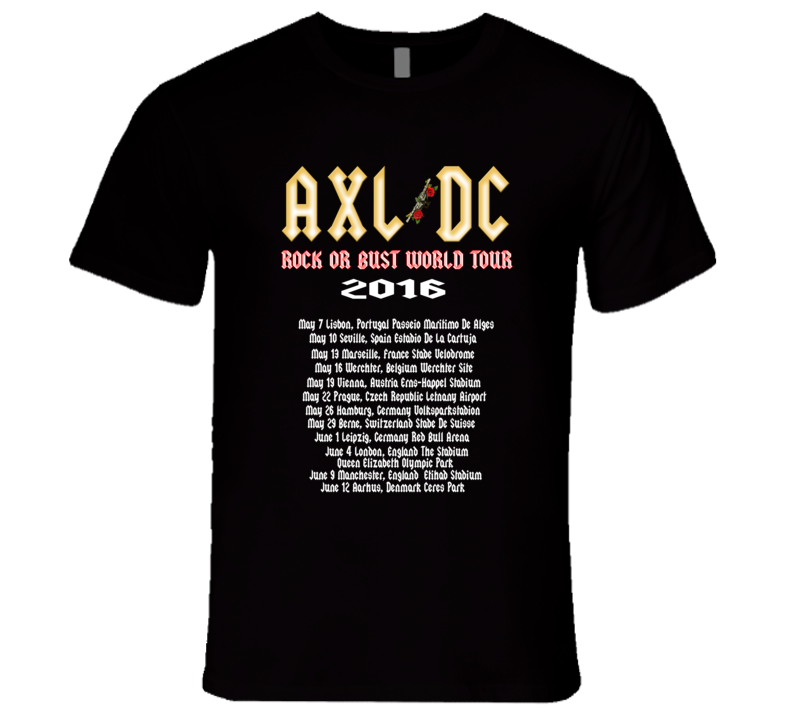 The Axl Rose AC/DC Rock Or Bust World European Tour 2016 Retro Classic Rock Music T Shirt is available in all sizes. Please select your desired shirt style and size from the drop down above.